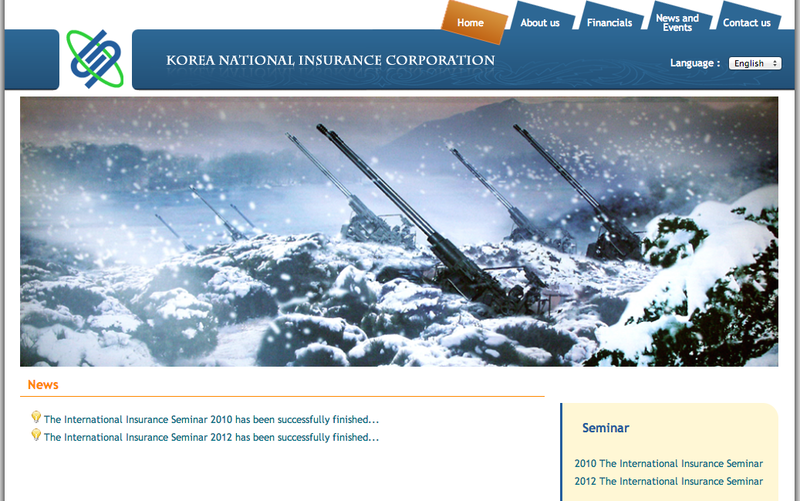 Site Contents: The DPRK’s state-run insurance company. The site includes basic financial information about the company, a letter from its chief executive and contact options. History: The site was apparently launched in 2014. 1 Comment on "Korea National Insurance Corporation"
The cheese ball of DPRK uses this shell to funnel money to programs (Weapons) to try to circumvent the U.N. sanctions. Fat boy will pay in “Hell” for the terrible things he has done to his people.